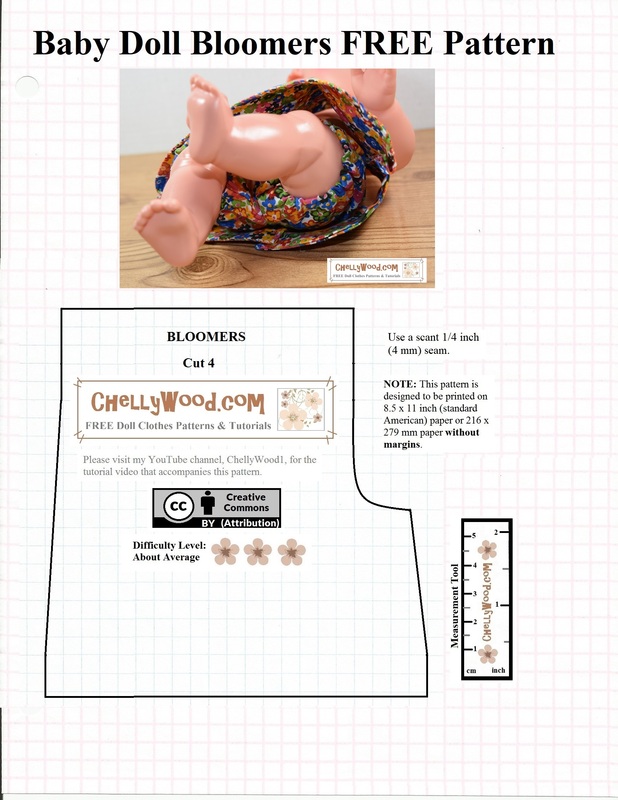 The pattern can also be used to create a pair of shorts for either the baby doll or some dolls as large as 16 inches. Look back at Monday’s post for examples. I plan to post an additional video showing how to turn this pattern into the shorts, but I’m not sure when that tutorial video will post. Please be patient and check back with ChellyWood.com from time to time. These are perfect – I have looked everywhere for a pattern as I didn’t want to pay a fortune for a pattern when all I wanted was a pair of bloomers. Easy, and sweet! You’re quite welcome, Susan. Thanks for leaving a comment!